Louise, with 17 years experience in rural enterprise, discovered that communities need cheaper, healthier energy for cooking or heating. Through innovative re-engineering, she patented the “Mashesha Stove,” and adopted a value chain for briquette production, from local biomass. Mashesha is kinder to people and to the environment. I help communities and environment become healthier through developing these Mashesha Stoves. I aim to empower women, increase environmental sustainability and provide a cost-effective solution to the world’s outdoor cooking problems. What is your vision with Mashesha Stoves? My vision is that all people that are making fires or braais can use Mashesha. High end or low end or poor. Every time they use a Mashesha they are using half the amount of fuel used on an open fire. 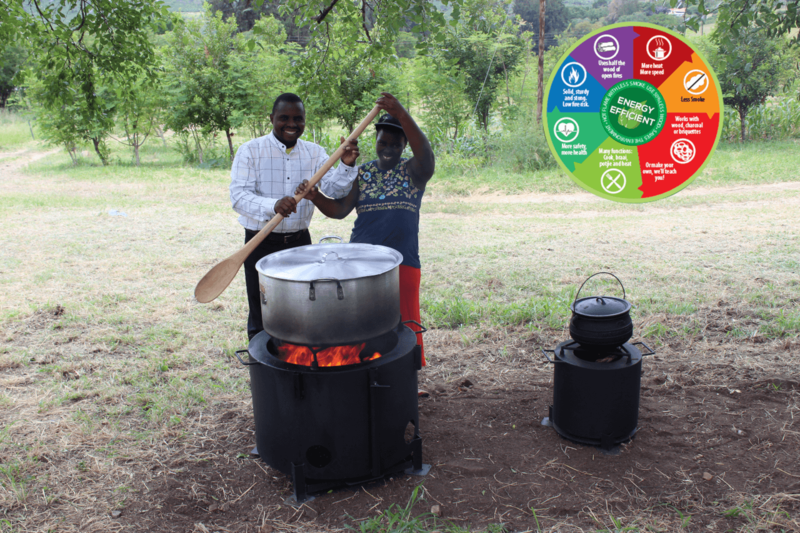 Therefore, you are mitigating climate change, deforestation and promoting biodiversity in a small way using a Mashesha Stove. 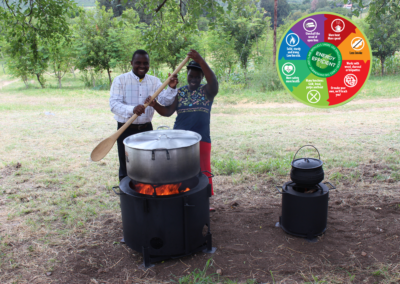 Acknowledging people want to use wood so instead use a Mashesha Stove which is less wood, less smoke. In 2006 started to look at energy efficient ways of cooking and then began to build big clay stoves for schools. They didn’t work so researched cookstoves and efficiency and how they worked. I made a test one using a coffee tin and achar tin, and it worked. I upscaled till I got a prototype. What has been the most interesting feedback so far? When I went to one of the schools, one of the cooks came up to me and said: “Ma’am you saved us.” European countries have expressed what a good idea it is. When did you start with Mashesha? Why would you encourage someone to buy it? Anyone to buy it – a rich person in a fancy house can use less wood and less smoke. Through using it, you can make a small contribution to using less wood, mitigating climate change. If everyone does a little bit, it makes a big difference in the end. What do you like the most about the stoves? 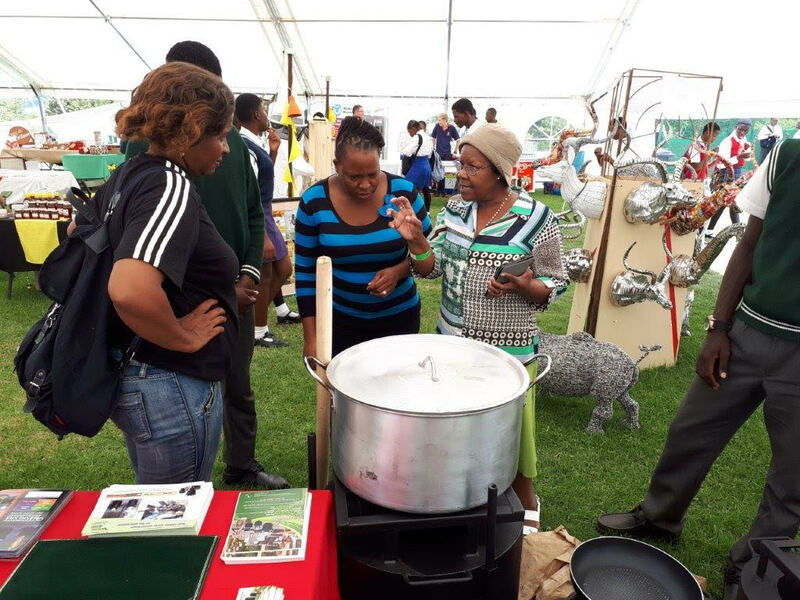 Stoves are portable, compact, high heat (2 flames), smiles on faces and interest being shown, easy to use and cook with. What communities will benefit the most? All communities immediately focusing on Mpumalanga, Limpopo. 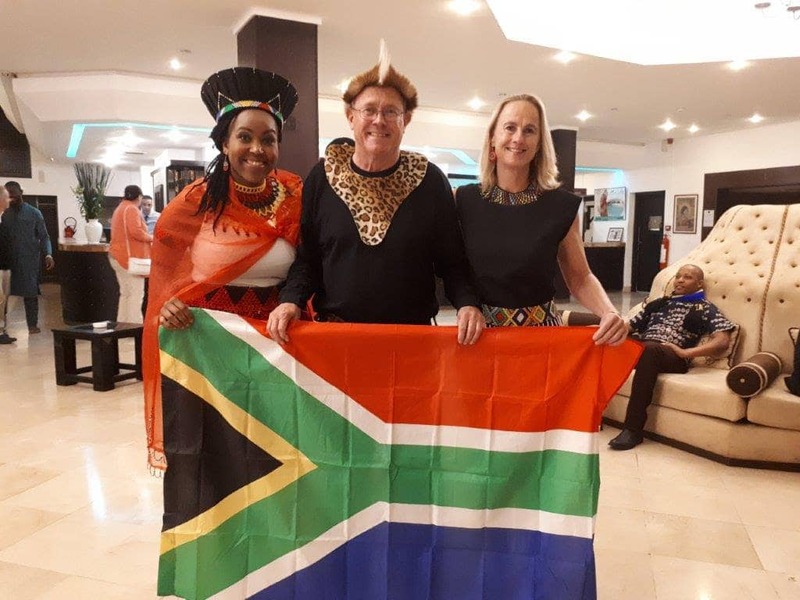 KwaZulu Natal & SADEC countries, townhouses, lodges, townships, and all communities. What is your dream for SA? To be environmentally focused. In SA using sustainable fuel sources made from waste – looking at that. Large biomass fuel source and reduce pressure on indigenous timber resources and biodiversity and ultimately conserve the environment. And that women would have a better and healthier time cooking. 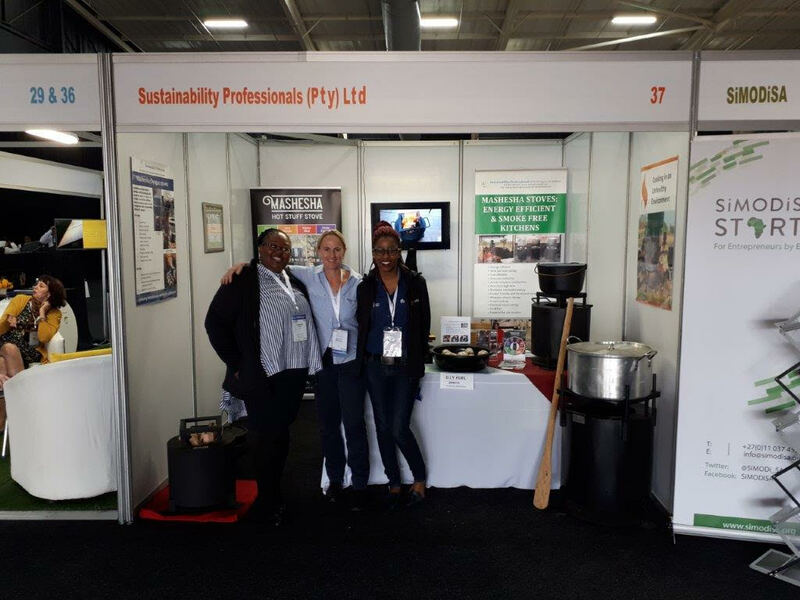 We also know the pressure in townships and rural areas to heat water for bathing – building 3-in-1 can heat water while cooking. The goal is to make and sell stoves with a reliable fuel mainly from sawdust of alien plants.